In 1989, brothers Hans and René Rutten and Bart Smits got together with the intention of starting a band. Soon after Hugo Prinsen Geerligs, Jelmer Wiersma and Frank Boeijen joined. In those days they rehearsed once a week, near the small Dutch city of Oss. They had a desire to experiment rather than imitate, which would prove to be a fertile musical basis. 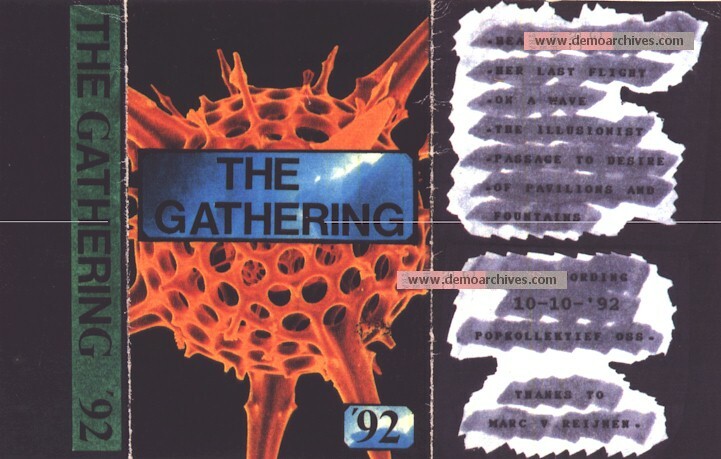 In 1990 they recorded the rehearsal tape An Imaginary Symphony, which was sent out to all kinds of magazines. 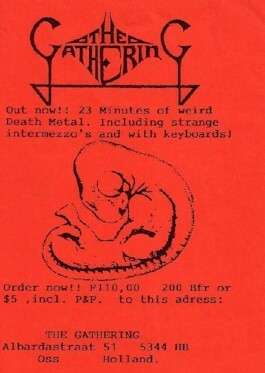 At that time, using keyboards in metal-oriented music was rather unusual, but still, most reactions were positive. In April 1991, the demo Moonlight Archer was recorded and picked up by several journalists. At the same time other people and bands started noticing the Gathering. Consequently, they were booked to open for bands like Samael, Morbid Angel and Death. The time was right to release an album. Their style back then was nicknamed ‘Efteling Metal’ by fans and mags because The Gathering was one of the first doom metal bands with grunts that dared to use keyboards, fantasy melodies and other long instrumental passages. After signing with Foundation 2000, Always... was released in 1992. On this album, Bart's grunts were accompanied by the female vocals of Marike Groot, who also joined the Gathering on stage for most of the gigs. This gothic/doom album was very well received and earned them many more concerts, including a few in Belgium and Israel. Unfortunately, due to a shady contract, the band would never know how many copies of Always... were sold. On top of that, the band parted with Bart and Marike because they weren't satisfied with the result. This demo has a copied four panel cover. No lyrics. Back has band picture. Tapes varied. This demo has a copied four panel cover on red paper. It has no lyrics. 250 copies were made and number 250 was a yellow cover which B.Smits has.